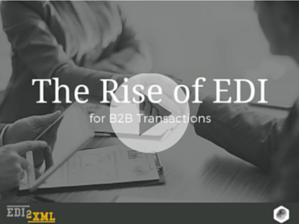 This article is dedicated to B2B EDI Integration using RosettaNet standard. 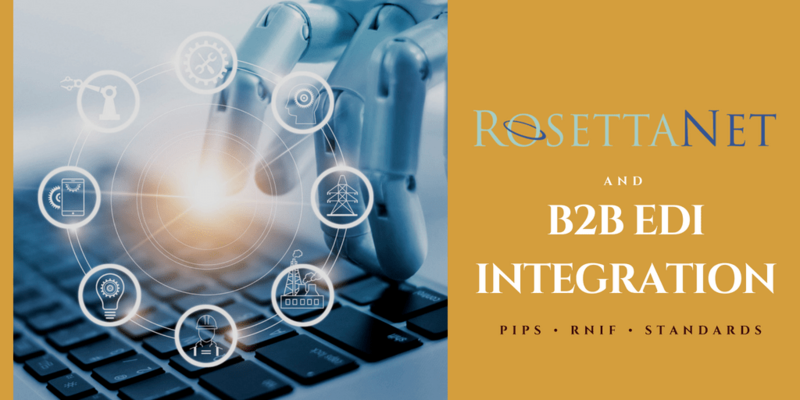 It describes the RosettaNet business-to-business (B2B) standard, RosettaNet terminology such us PIPs (Partner Interface Processes), RNIF (RosettaNet Implementation Framework), Action Message, Signal Message, and other key RosettaNet features. The information in this topic will be helpful to understand RosettaNet standards and concept before its implementation. RosettaNet is a group of Technology corporations that have created and implemented B2B protocol standards. These standards define the exchange of electronic business documents. RosettaNet is one of B2B protocol standard which allows different businesses to communicate electronically over a network. RosettaNet it is one of the EDI (Electronic Data Interchange) standards for exchanging business messages using HTTP(S) with MIME headers. As Identifiers RosettaNet uses DUNS numbers. 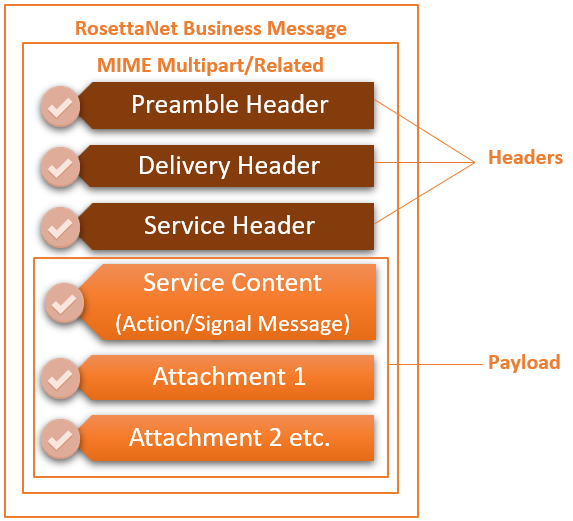 RosettaNet messages contain a Preamble, Delivery Header, Service Header, and Service Content. RosettaNet Standards are free and open to the public as well as private organizations and individuals. You can have access to standards on RosettaNet website. The RosettaNet Implementation Framework (RNIF) is an open, common networked-application framework generated to allow trading partners to exchange RosettaNet PIPs. The RNIF regulate implementation guidelines for developing software applications components that simplify the RosettaNet PIP messages fulfillment between business partners. Recommendations are provided for packaging, security, transport, routing, signals, trading partner agreements. 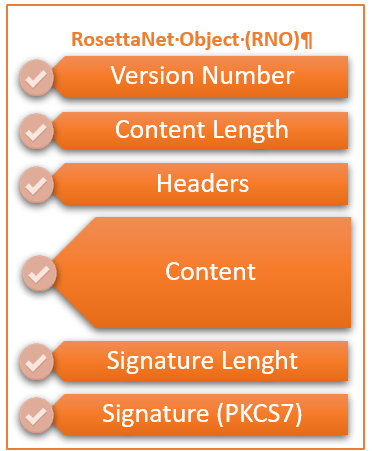 In simple words, RNIF defines how to build, parse, secure, and send RosettaNet messages. The table below describes some RNIF version 1.1 and version 2.0 implementation guidelines. Authorization Guarantee that the sender of the message is allowed to send a message to the receiving partner. Encryption Not provides Guarantees that transmitted messages can be seen only by the expected recipient, who is able to decrypt and extract the information. • The digital signature of the message. This prevents the sender from attempting to reject the sending of the message. The recipient of the message must keep the message for an agreed period of time (usually three to seven years). • Send back a signed acknowledgment. The message recipient has to store both the receipt and the original message for an agreed-on period of time. What Is RosettaNet Partner Interface Process (PIPs)? In RosettaNet, a Partner Interface Process (PIP) defines a fulfillment of a business transaction between trading partners. The principal objective of PIPs, is the exchange of business data between trading partners. PIPs determine the messages structure, steps order, role (buyer and seller) activities, values, for each message transmitted between trading partners. Compliance with these specifications allows the trading partners to achieve business goals. A role to fulfill at least one action (for example, a buyer role requests a Purchase Order from a seller role and a seller role submits a Purchase Order Acknowledgment to the buyer role). Each partner has to fulfill his specific requirements of the PIP. If one trading partner does not satisfy his requirements, then the business transaction is voided for all participating PIP trading partners. What does a PIP document look like? RosettaNet PIPs are classified into seven clusters. Each cluster is broken down into segments, within each segment, individual PIPs contain one or more activities, which specify actions to be performed. Cluster 0: RosettaNet Support. Delivers administrative functionality. Cluster 1: Partner Product and Service Review. Collect information of trading partner and product-information subscriptions. Cluster 2: Product Information. Distribution and periodic update of product notices and product technical specifications. Cluster 3: Order Management. Supports full order management business area. Cluster 4: Inventory Management. 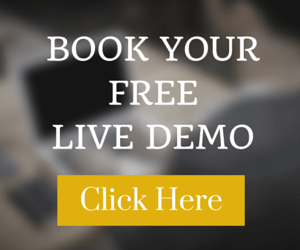 Inventory management, including reporting and allocation of constrained product. Cluster 5: Marketing Information Management. Communication of marketing information. Cluster 6: Service and Support. Post-sales technical support. Segment 6A: Provide and Administer Warranties, Service Packages, and Contract Services. Cluster 7: Manufacturing. Exchange of design, configuration, process, quality and other manufacturing floor information. Segment 7B: Manage Manufacturing WO & WIP. Segment 7C: Distributed Manufacturing Information. 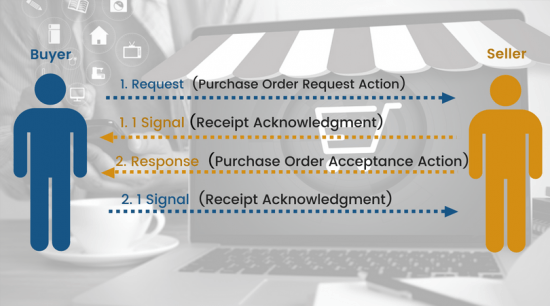 A Receipt Acknowledgment is a positive signal acknowledging receipt of a Business Action message. It is sent when structurally and syntactically valid RosettaNet action. A Receipt Acknowledgment Exception is a negative signal indicating a problem (structurally or syntactically invalid RosettaNet action). An Acceptance Acknowledgement is a positive signal acknowledging. This message sent when a partner receiving accepts the RosettaNet Action Message for processing. The signal does not indicate a success or failure of message processing. An Acceptance Acknowledgement Exception is a signal indicated a negative acknowledgment of acceptance A message is sent when the partner receiving the RosettaNet action message cannot accept the message for processing in the backend system. A General Exception is a negative signal. It’s signified that actions performed by processes outside of RosettaNet caused an error. A business message exchanged between trading partners via RosettaNet 1.1 protocol is called RosettaNet Object (RNO). The business message exchanged via the RosettaNet 2.0 protocol, is called RosettaNet Business Message (RBM). RNIF 1.1 and RNIF 2.0. have different basic message structure. • Version – Specifies the RNIF version (1.1), in binary format. • Content Length – Length of the multi-part MIME message, in binary format. Service Content—contains either an action or a signal message. Attachments—Optional. Can contain zero or more attachments, which comprise of XML and non-XML (binary) data. It can be attachments such as PDF files, Word documents, GIF images, and other. The information for each attachment is included in the Service Header of the message. Length of the signature in binary format. Signature (PKCS7) in binary format. • In the version RNIF 2.0 the Delivery Header was added. • In RNIF 2.0 the Service Header and Content can be encrypted. Identify the sender for authentication and authorization. In the process of computer-to-computer exchange of business documents, such as purchase orders, invoices etc. with a Trading partner, exchanging documents occurs in a standard electronic format. It can be standards such as ANSI X12, EDIFACT, or RosettaNet in the high-tech industry. In each standard, there are different requirements for electronic documents and they can be called differently. On the example below, you can see the comparison of two standards ANSI X12 and RosettaNet. Our company focuses on the integration of Trading partners, which is also known as business-to-business integration (or B2B Integration). 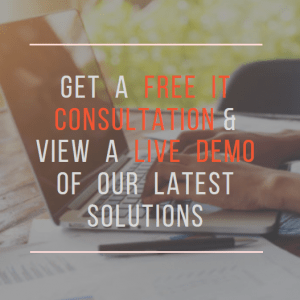 For more than 18 years we have been automating business processes and helping our clients, manage business relationships with their trading partners. We are EDI Integration experts and we have a strong expertise around RosettaNet. 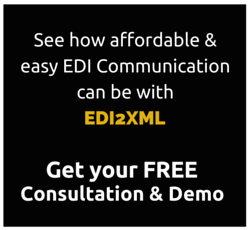 So, if you need help with RosettaNet or any EDI Integration contact us today.